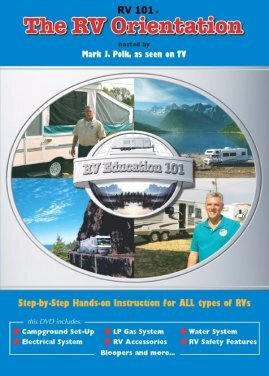 Understanding RV Electricity is something that we all struggle with. So many sources, so many switches! We'll try to clear up some of the "mud" so it sorta makes sense! Your battery system is the heart of all of this. If you are in a self-contained unit - engine and RV body - you will have 2 types of batteries. 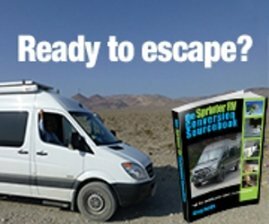 If you are in a camper/5th wheel type of RV, you will only have 1 type of battery system - there is no engine. The self contained RV will have a "starting or chassis" type battery and then a separate battery system for the RV itself. A Camper/5th wheel will only have the battery for the RV itself. 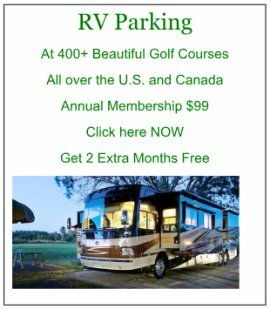 The self-contained RV needs a very powerful battery that will start a very large gas or diesel engine. These batteries are just like you would have in your car, just bigger and more powerful! These chassis/engine batteries will be very large, singular types with maximum capacity to start your engine. 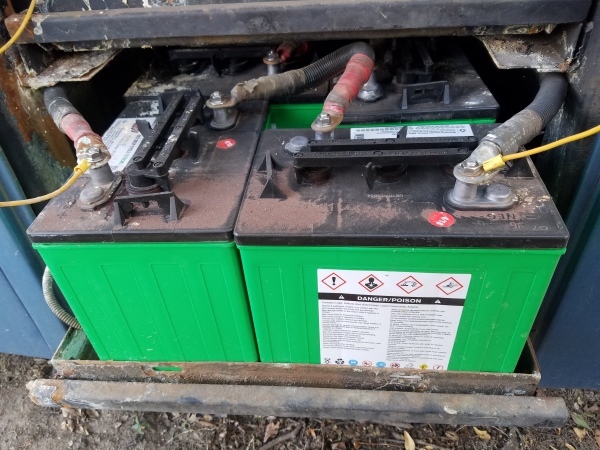 These chassis/engine batteries are used to only start the engine of the RV. Once they do that, they are NOT used as part of the RV. A camper/5th wheel type battery system will be what is referred to as the RV system of batteries or "coach" batteries. This battery system will be used to provide power for your personal needs, inside the RV or coach. Regardless of the type of RV, all RV's will have the coach/RV type batteries. The "coach" type batteries are designed to allow you to use lots of accessories within your RV before they get too low and powerless. Typically, they are the 6 volt ones used in golf carts. They are connected in such a way that they then become 12 volts with a very "deep reserve". The more reserve capacity, the longer they can be used before a charge is necessary. That's the battery system. For our discussion, we'll just deal with the "coach/RV" batteries. The coach/RV batteries will only provide 12 volts - period. Sooo, how do I get the 110 Volt AC to run my coffee maker? There are many ways to approach this. Basically, there are 2 types of electricity that you have access and use of - 12 Volt DC and 110 Volt Ac. Let's assume you are not hooked up to any city power, for discussion purposes. The 12 Volt DC electricity is for the simple things. It will directly run the small lights within your RV, your Water Pump, all safety warning devices ( Smoke, CO2 detectors, etc.) and some appliances. While you are using these various devices, it typically is a small amount of electricity being used so the batteries will provide power for a long time. during this time, you decide you want a cup of coffee from a coffee maker that will only work on 110 Volts AC. Since we are not hooked up to any outside source of power, how do you do that? There is a device called an Inverter/Converter that will take that same 12 volts DC from your coach batteries and change it to 110 volts AC. Hence, you can make coffee with that 110 volt AC appliance. The Inverter/Converter must be turned on to do this, however. When you turn on this device, the 12 volt battery will still provide power to your lights, etc. BUT, it will also provide power through the Inverter/Converter to now be 110 Volts AC for that coffee maker. With that device on, all your standard 110 plugs will be "live" and providing 110 Volts AC. Now is the time to run your computer, if you need to. However, if you use a large screen to view it (or a TV), it may use up too much power, too quickly. When you turn the device off, no power will go to the 110 volt plugs - no coffee! Notice, we haven't talked about charging up that battery. All we are doing is draining it. When you are using your batteries to provide that 110 Volts AC, it will use up their capacity to function quicker. Also, notice we are using a "small" appliance. You will not be able to run large appliances like the air conditioner(s) or the microwave. They just take too much energy to operate - especially to start them, too much a current draw from that battery system. 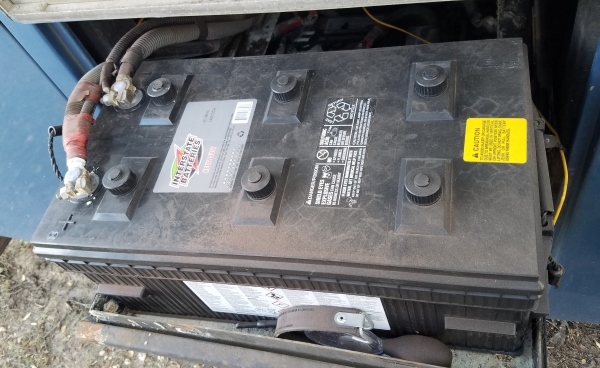 How do I charge that 12 volt DC battery system back up? Your 12 volt battery system will need to be charged back up. If you do not have a source of "city" power, you'll need an alternate source to charge them - Solar, Generator, Wind Generator, etc. A Solar System would be the ideal - no sound and it will actually charge your battery at the same time as it is being used - assuming it's a sunny day!! A Generator would need to be started. It will provide power to all your plugs (110 Volt) as well as the 12 Volt DC needed for your lights, etc. It will also charge your battery, by providing electricity back to that Inverter/Converter so your battery is charged by 12 Volts DC. A Wind Generator is identical to a Solar System. It uses the wind to turn a fan that generates 12 Volt DC power. That in turn is sent back to the battery to charge it. What RV Appliances use What? The beauty of an RV is the very fact that appliances can be used various ways. The Refrigerator can be run on 12 volt DC with Propane or 110 Volts AC without Propane. While driving, you can keep things cold with the 12 Volt Battery providing the power to provide the spark to light the Propane part of the refrigerator. Way Cool!!! Once you are parked with shore power, you can then run your refrigerator with 110 Volt AC and save your propane. Furnace - virtually the same - 12 volt DC to run the fan motor and propane to provider the heat. It will NOT require or use 110 Volt AC to run when on Shore Power. Water Heater - same as the refrigerator. It will need a 12 Volt DC electric spark to ignite the Propane Gas or it can work on 110 Volt AC when Shore Power is provided. It will NOT work with just the Inverter - too much power being taken from the batteries. If you are plugged in, no external power supply is needed to be "on" - Generator, Inverter/Converter, etc. When plugged in, the power will go thru your Inverter/Converter and charge your batteries, provide 110 Volt AC for your plugs to run your coffee maker, computer, TV, etc. as well as providing 12 Volt DC for your lights, safety devices, etc. You must have a usable battery installed to allow the Inverter/Converter to power up the 12 volt accessories. If you are a self-contained RV - Motorhome type, then your batteries are being charged while you drive. The Alternator on the engine does that. Word of caution though - if your batteries are really low, charge them with something else. Using the Alternator only to charge low/dead batteries while driving puts a very big strain on an Alternator. If you are a camper/5th wheel type vehicle, SOME will provide charging electricity from the pulling truck engine to the camper batteries.